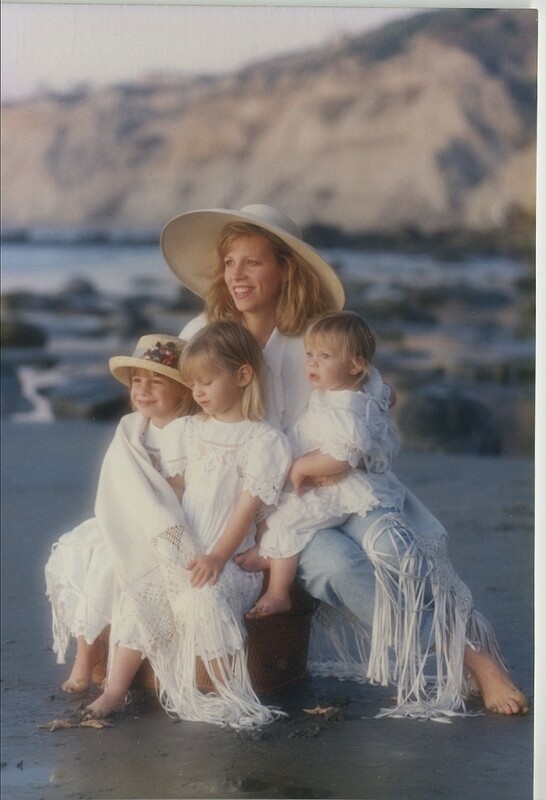 When Moms ask me how long I breastfed my daughters, I look up to the sky as if I’m counting the years and then I say jokingly, “Right up until they started middle school?” Having three daughters all roughly two years apart, I was breastfeeding for about a 6 year period of time and breastfeeding was one of the best experiences of my life. Think about how amazing is it that our bodies are designed to not only carry and birth people but to give them all of the nutrition they need to thrive and survive. I could write about ALL of the great benefits of breastfeeding however, I’m going to take it up a notch and just talk specifically about breastfeeding at night. An article that was written for Breastfeed Chicago entitled ‘5 cool things no one ever told you about nighttime breastfeeding’ stated this. Are you ready? 1) Breastfeeding moms get more sleep. 2) Breastfeeding women have a higher level of hormones at night therefore produce more milk at night. 3) Nighttime breast milk contains melatonin (a sleep inducing hormone) which babies don’t develop in early life. 4) Nighttime breast milk is rich in brain boosting substances, mood affecting hormones and helps with sleep/wake cycles. 5) Keeps mom’s long term milk supply steady and strong which can lead to less pumping during the day. The gift of MORE sleep, lowering your postpartum depression risk, building and developing babies brains, possibly reducing their risk for long-term mood disorders, developing their own circadian cycles, ensuring your long-term breast milk supply, giving you an opportunity to pump less at work are just a few reasons to make you want to wake up at night to nurse your baby. Honestly, the Greatest reason is because you love your baby and yourself and want what is best for both of you! Cheers!! I have a lemon tree in my backyard that produces a ridiculous amount of lemons. The good news is that lemons have so many beneficial qualities and I have an abundance of them. The not so good news is that I have this habit of “pruning” the tree myself. I have absolutely no idea how to prune a tree, I just go with my instincts and cut branches that don’t look like they want to be there. My husband calls me Edward Scissor-hands after a pruning frenzy but I truly believe that after I finish this task, the lucky remaining lemons get a burst of energy from the earth and taste so much better. I love living a healthy lifestyle . Squeezing a little lemon into your water everyday is a great way to get yourself and your family to drink more water which is essential to good health. Of course, eating lots of fruits and veggies is the best way to stay hydrated. 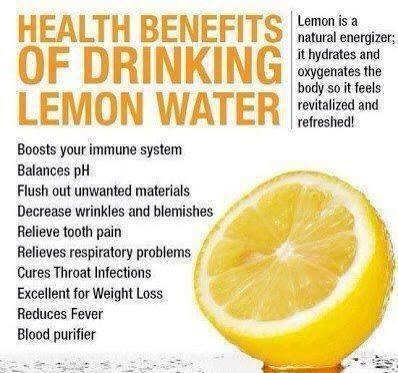 I use lemon in herbal teas, stir-fried and steamed veggie dishes, and home-made salad dressings among other things. It’s a simple way to cleanse and purify your body on a daily basis and if you have a lemon tree in your yard, then you’re all set. Pruning lessons! THAT is what I want for Mother’s Day!! I’m serious! It really can be THAT simple! I’m talking about living a healthy lifestyle. THE first step is making the commitment. If you can’t or won’t then take the pressure off yourself and live your life how you see fit. The upside: you can be as lazy as you want and you have more free time. The downside: the quality of your life and health will suffer. 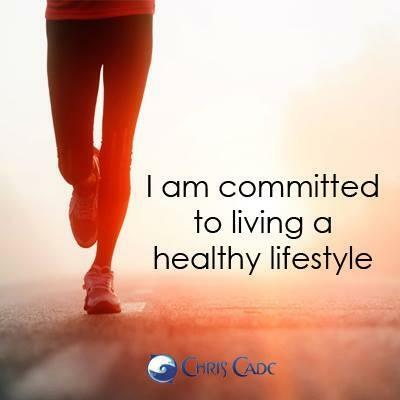 I was 18 years old when I COMMITTED TO LIVING A HEALTHY LIFESTYLE. I started exercising regularly, eating healthy foods that nourish my body and focused on keeping my mind, body and spirit as free and clear as possible. I found that if you make living a healthy lifestyle part of your day… your world… your life… it’s EASY. Choose an exercise that you enjoy doing. Eat fresh fruits, veggies and unprocessed foods THAT YOU LIKE! Read books that enlighten you. Set up a peaceful, healing and loving environment. Choose to be around people who you want in your life. AND, of course, get your nervous system checked by a Chiropractor to ensure that your body and all of its systems are functioning at the highest possible level. Please don’t wait for #3. Start TODAY! Your life may depend on it! I am blessed. I live in La Jolla California. La Jolla translation: The Jewel. Throughout my travels, I have found fewer places that are more beautiful than where I live. I have never considered myself a beach person, I feel like I’m more of a mountian person however, the fact that I live five minutes from the beach, my “HAPPY PLACE” is anywhere I can look out at the massive ocean, listen to the waves and smell the salty air that permeates through my body and cleanses my soul. I go to my HAPPY PLACE when I need perspective. Sometimes, I just need a visual representation of BIG. You think you are faced with a BIG challenge? Go to the ocean. All of the sudden, you see what BIG looks like and your challenge seems alot smaller. What did you say? You don’t live on the coast. That’s OK. Your Happy Place can be anywhere that you feel FREE! 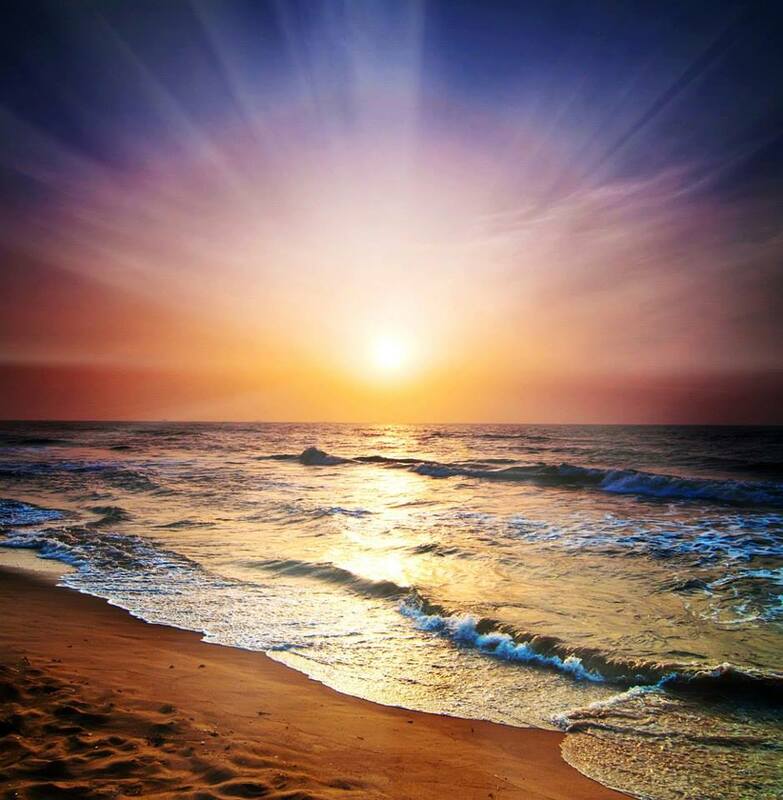 Free to breathe deeply, clear your mind, get centered and remember what is most important in LIFE. Where is your HAPPY PLACE? I’d love to know. When you or your child has a fever, does it make you nervous? Would you like to be less Fearful of Fevers? Maybe this explanation will help ease your mind. I was a medical technology major before I decided to become a Chiropractor and I spent numerous hours in the lab culturing bacteria samples. The ONE constant with ALL of the bacteria was that they grew and multiplied, very aggressively at times, until we placed them in high temperature settings. The bacteria could not thrive or ultimately survive in higer than “normal” body temperatures. Sometimes, it only took raising the temperature 3-4 degrees to see the decline in growth. I think that most people know that fevers actually are an important part of the healing process. WHY then, when you or your child has a fever would you try and lower the body temperature? If someone has a fever due to heat stroke or poison call 911. If someone suffers from seizures caused by fevers, then lower their temperature. Those are exceptions to allowing the body temperature to rise. In my family, when any of us have had a fever, we put on cotton sweats, got in bed with extra blankets to raise our body temperature in order to “knock out” the viruses and/or bacterium. Within 48 hours, we were back in action. We see a alot of kids in our practice and have witnessed their amazing bodies “burn out” all sorts of super bugs. Sometimes parents just need a little reassurance that their child is going to be fine and that their healthy immune system is on the job. If you EVER need reassurance about fevers or other health concerns, come to my blog and leave a comment. I will cyber-walk with you through the process. That is my committment to making this world healthier! 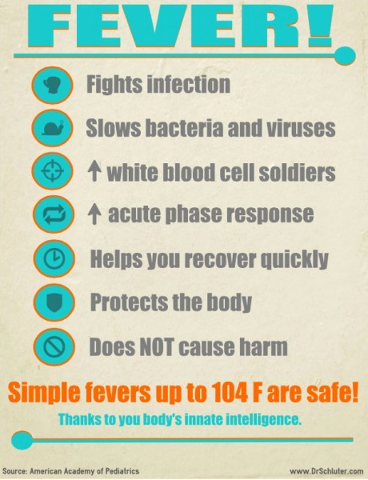 Still Fearful of Fevers? I’m promise you… you got this! I’m generally not a nostalgic person. I strive to live in the present and have always felt that living in the past hinders forward progress and growth. That being said, I’m 24 hours away from witnessing my oldest daughter, Lauren, walk across the stage of my Alma Mater, Life University, to receive her diploma and become a Chiropractor. Her fiance will follow her moments later and I promise that at some point in my life I will introduce him as Matt: my son-in-law-the-doctor! 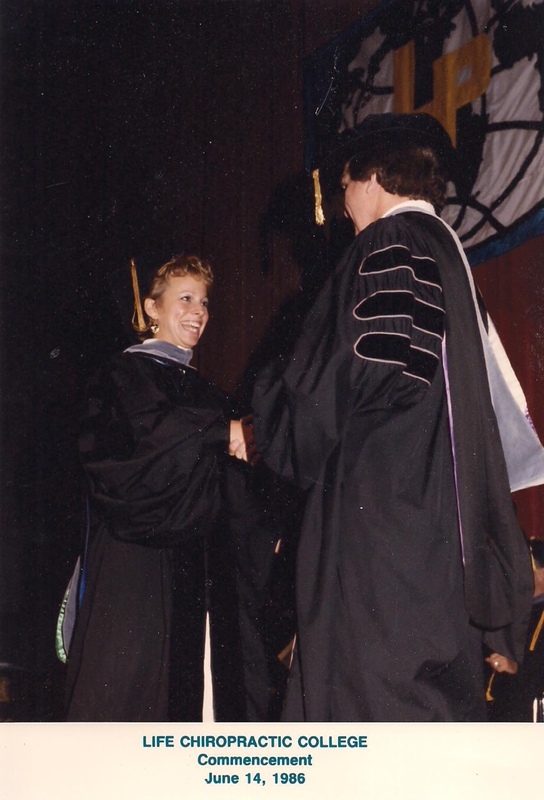 This picture above was taken 28 years ago when I walked across that stage. Excited? Yes! It was, at that moment, the greatest day of my life! I wanted to make a change in the world. I wanted to touch as many people as possible, give people hope and tell everyone on the planet that with a properly functioning nervous system, the body can and will heal. Today, I feel that I have been fulfilling my mission AND I’m not done. There are a lot more people who I want to get my hands on. 🙂 Yea, I’m also remembering Lauren in diapers (cloth of course) and I’m feeling that “Mom Pride”; however, for me it’s deeper. I KNOW how she feels… I’m feeling it again today. Excited for Her future… My future… Our future! Tomorrow when she takes that oath, I will reconfirm mine. To serve mankind!! Walking across that stage I had a feeling that I’d marry a chiropractor (check) and that my kids would be chiropractors (check) and that they’d marry chiropractors (looking good so far), and that my future grandchildren would be chiropractors (stay tuned). You see, I always encourage my girls to listen. Listen to their inner voice. The one that knows what is best for them. The one that will keep them on THEIR own path. I encourage them to find something they are passionate about and move towards that. I never once told them to be chiropractors. What I want for them most is Freedom. Freedom to be who THEY ARE regardless of anybody or anything. Mission Accomplished! I was going to blog today about Lauren’s birth story. Planned home birth. 51 hours of labor. Emergency C-section. Punctured lung. NICU. One chiropractic adjustment by her Dad. Normal lung. Leaves hospital against medical advice. Grows up healthy. Becomes a chiropractor…I’m going to save that story for another time when I’m feeling nostalgic! I recently read an article, Why Women Shouldn’t Fear Home Birth, in TODAY Moms written by the actress, Ph.D Mayim Bialik who is an advocate for home births and it was as if I wrote the article myself. Having had two of my three daughters born at home, I have spent the last 26 plus years discussing, lecturing about and even at times defending why Ron and I chose to deliver our babies at home. Some people thought we were crazy while others were inspired and went on to have beautiful home-birth experiences of their own. I have been to over two dozen home births as a friend/supporter and can tell you first hand that BIRTH IS A NATURAL PROCESS and women’s bodies were created to birth babies. I love talking about babies and birthing so if you have any questions, please ask or you can leave a comment. If you want to read the article you can find it here. Teaching your kids the benefits of living a healthy and active lifestyle is extremely important for both their current and future health. But, as any parent knows, it can sometimes be quite a challenge. Forcing kids to participate in activities they don’t enjoy can cause them to rebel and despise the exact principals you are trying to teach them. Instead, focus on planning fun physical activities that the kids will love doing for even many hours per day. There are hundreds of fun options that will get kids interested in physical activity and exercise; you just have to get motivated to join them in the process. 1. Tag Games: Classic games that kids get into often have some sort of tag component. From basic freeze tag, sardines, to the basic hide and go seek. Just freeze tag will get your kids running more in one game than they normally would all week long. The more people you get involved the better, so invite the entire neighborhood. 2. Bike Riding: An obvious choice that is often overlooked is just to grab the bikes and head out on a nice ride as an entire family. Set some goals such as a distance, time, or destination to make it new and exciting every time. 3. Play Frisbee: People forget how much fun playing Frisbee is and the physical benefits from tossing around a disc. You can get a game of ultimate Frisbee going, head to a disc golf course, or just throw it around amongst the family. Either way, you are guaranteed to get some exercise. 4. Wide Games: There are many versions of wide games that usually involve a treasure hunt, seizure of a treasure, or land conquering games. Kids can create their own unique version or stick with classics like cops and robbers. Games like these that they can play in the community will get everyone involved and always be a lot of fun while simultaneously providing some exercise. 5. Racing: The most basic human instinct is still a ton of fun for kids. You can run, bike ride, roller blade, skateboard, or whatever it is that is most fun for the people involved. The goal is simple, get from the starting line to the finish line before everyone else. Make some prizes for the winners and get kids racing against each other for fun. They won’t even realize you are tricking them into running on a daily basis. Growing up loving and playing sports, and even playing volleyball in college, I knew I HAD to marry a man who also loved sports – so I married a basketball player (played overseas). Besides health and chiropractic, sports is an important THEME in our family. Our girls started playing sports at an early age because they loved to be moving, running and scoring (competition is also very important in our family). Two of our daughters played sports in college. One played lacrosse at UCLA and another played volleyball at Montana State University. We’ve always played a lot of games as a family (Marco Polo pool games were not for the meek); which made exercising a normal part of our lives. All five of us exercise regularly and none of us have the same exercise routine. It’s so important for kids to be active and moving their bodies, which increases their health on many levels. It increases their self-esteem, body awareness, balance, confidence and mood. AND if they are not athletic or into sports, they can still be physically active by doing all sorts of fun activities, like riding a bike, swimming, surfing, playing tag, etc. If you “play” along with them and turn family time into exercise, you will ALL benefit. Give it a try. Tag, you’re it!!! The most common question I hear from parents when I speak about chiropractic and children is, “why do kids get adjusted?” The simplest answer to that question is because they have a nervous system just like adults and that nervous system works better and more efficiently when there is no interference (vertebral subluxations). When their nerve systems are not functioning at the highest level, it can decrease their immune system, among other things, causing their bodies to function in a weakened state. The result? Ear infections, colds, viral infections, skin issues, etc. Kids who get adjusted have stronger, healthier nerve systems. Dr. Amy Horn does a great job explaining chiropractic and kids in this segment. She and I have a passion for chiropractic pediatrics and LOVE sharing what we do with everyone. Great job Dr. Amy!! !